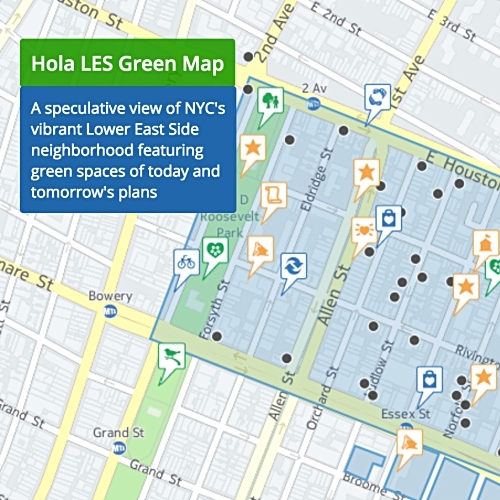 The Hola LES Green Map charts the speculative future of the ever-changing Lower East Side! Named for its location between HOuston and DeLAncey streets, it highlights existing resources as well as conceptual projects that contribute to the community’s sustainability and sense of place. Manhattan's vibrant Lower East Side is on the forefront of climate change (like all coastal communities). This map and the process of making it was developed to help increase the green spaces, sustainability and resiliency of the neighborhood. The Hola LES map highlights an exciting mix: existing Green Map sites, development projects that are transforming the neighborhood, and speculative design ideas that can increase sustainability and resiliency. The map mingles official plans as well as bottom-up visions for these 36 blocks. Created by Green Map NYC with Alice Arnold of A2 Studio and other community members, online you can find details of the research process used during the three mapping workshops, and more about the interviews with community members, historical research, and participation in Community Board 3 meetings. 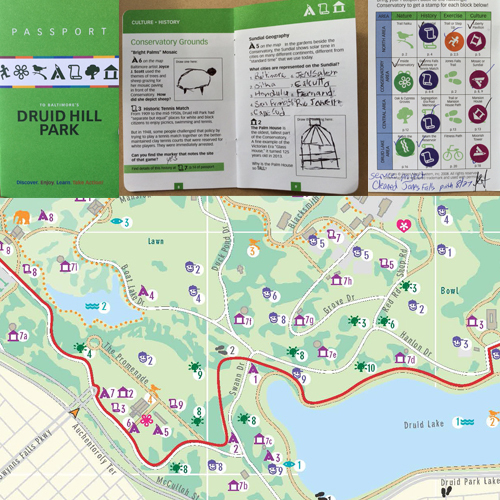 The map was built using the CARTO mapping engine platform and Green Map icons. Below, find the embed code to add this to your website! This map was launched on May 7, 2016 as a Jane's Walk and a LES History Month event. Amazingly, we have had to update this map several times as the projects it features have evolved! 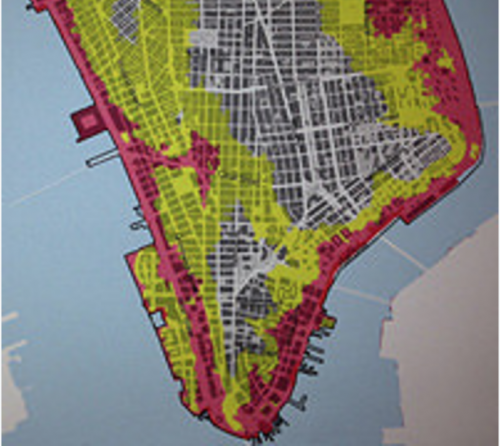 We have also created a tutorial for using the CARTO platform for making Green Maps, our thanks to this Brooklyn-based company for their support, too! A nice crowd joined on a tour to celebrate this map's launch on Saturday May 7, 2016 - the event was both a Jane's Walk and a LES History Month event. Excitingly, later in May, our Director was named an LES Community Hero! 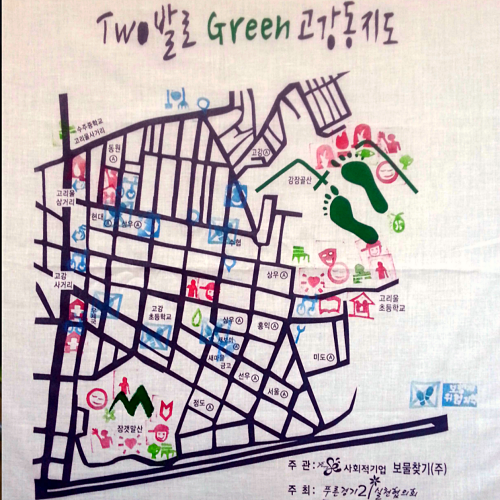 The goals of the mapping workshops, which were held in Siempre Verde Garden in 2015, were two-fold: to map the current green space and sustainable living resources and to find underutilized space with sustainable development potential. The workshop participants explored the 36 blocks between Sara D Roosevelt Park and Hamilton Fish Park from HOuston to DeLAncey streets (“Hola”). We discovered places where new green spaces could be created from currently vacant tree pits and swaths of bare earth as well as excessive paving that could be greened, an emerging Green Wall, and hidden-in-plain view gardens. We also learned where solar panels are powering neighborhood buildings, about cycling resources, initiatives to re-purpose Parks buildings for community use, and more. Our workshops included discussion about green infrastructure to address storm water, a problem that confronts many New York City neighborhoods (the 15 ‘combined sewer’ overflow points in East River Park are evidence of this condition). We discovered underutilized green spaces that could be enhanced, gardens where rain barrels could be installed, asphalt that could become permeable, and bare earth around a housing development that could be utilized as a rain garden or bioswale. These solutions enable natural systems to work more smoothly, so that storm water is sponged up and slowed down, which will help prevent flooding in the community and the overflows that pollute the East River. There are several development projects currently underway that impact the Lower East Side and are relevant to the sustainability of the Hola LES neighborhood. The largest is the Essex Crossing development that will add 1000 new apartments and new retail spaces to the area. In addition, gentrification is an ongoing process, with older buildings being torn down or converted to luxury housing. The map charts these new building developments from 2005 to the present. The Big U is a 335 million dollar project that will create a barrier around lower Manhattan to reduce storm surge impacts. With community engaged in planning, the first section will break ground due east of Hola LES in 2017. 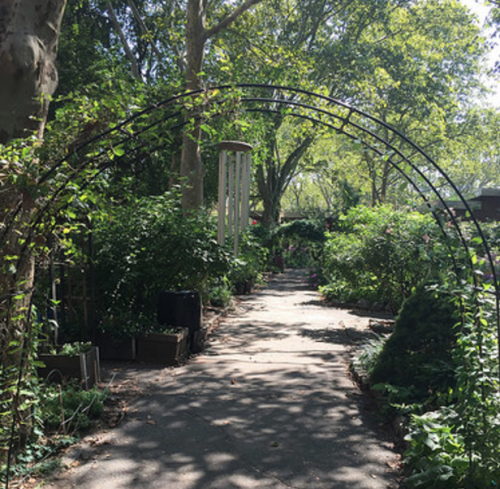 NYC Community Garden Coalition's 2-million dollar "Gardens Rising" project will add another sustainable layer to the neighborhood. Launched in November 2015, green infrastructure will be planned with 47 community gardens, including the five on the Hola LES map. Other, more local projects include: the updating of the landmarks spaces Bluestocking bookstore, the Essex Market and ABC No Rio; the Suffolk Tree Stewards, who have taken the initiative to improve the trees and tree pits in and around their block, and the projected "Lowline"project, which could become the world’s first underground park. The Lower East Side has a unique built environment. Looking back via the Viele Map and historical references, we can see how waves of immigrants transformed land where the Lenape people had lived, building tenements, places of work and worship as the population grew. Today, income disparity, litter, lack of green space and car traffic are challenges that we residents of the Lower East Side must address to assure the vitality of this dense, diverse community. We mapped outside our original line to include more resilient living resources beyond our catchment area. Just above Houston Street, we added the Commuter Compost Drop off, the Wald Houses Community Garden and around on the riverside, the forthcoming SolSpherica solar charging station and the Big U flood barrier. On the south, it’s easy to spot an EV charger and a green roofed building, extending our Hola LES vision beyond the catchment. There's always more to map - contact us if you’d like to pitch in. The future needs all of us! Credits: Green Map System, Wendy Brawer and Alice Arnold (a2studio), Marc Shifflett plus interns Daniel Solow, Leopold Monjole, Priya Bhashyam and Sharona Allameh. Made with support from the Partnerships for Parks Capacity Fund Grant, made possible by the City Parks Foundation thanks to the Parks Equity Initiative of the New York City Council under the leadership of Speaker Melissa Mark-Viverito.